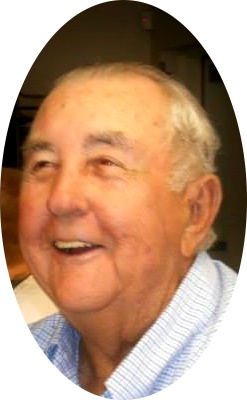 Mr. Wayne Jackson Lear, age 89, of Brodhead, Ky, passed away Tuesday, February 12, 2019, at the Rockcastle Health and Rehabilitation Center in Brodhead, KY.
Wayne was born on March 14, 1929, a son of the late Givens Terrell Lear, and the late Maggie Lou Sargent Lear, in Hiatt, KY. He proudly served his country through the United States Army, and as a veteran of the Korean War. He was a life member of the Rockcastle County VFW Post #5908, and the Rockcastle County Saddle Club. He was of the Baptist faith and was a member of the Mt. Zion Baptist Church. He enjoyed family, bingo, playing cards, softball, and auctions. Those left to celebrate his life are his children: Vickey Jean Anglin and Lonnie of Brodhead, KY, Millie Eaton and David of Mt. Vernon, KY, MaryLou Murphy and George of Berea, KY, Wayne Lear, Jr. of Brodhead, KY, and Jonimae Jones and Rodney of Brodhead, KY; 8 grandchildren; 15 great-grandchildren; two brothers: Doug Lear of Brodhead, KY, and Ray Lear and Torsha of Mt. Vernon, KY; and two sisters: Sue Sowder of Brodhead, KY, and Edith Ponder of Berea, KY; as well as a host of nieces, nephews, friends and neighbors. Besides his parents he was preceded in death by one child: Justina Lear; 3 grandchildren: Angela Beth Anglin, Jeremiah Jackson Murphy, and Shannon Eaton; two great-grandchildren: Ella Renee Lear, and Hadley Gray Lear; and 6 siblings: Eva Lear, Dearl Lear, Earl Lear, Herbert Lear, Melba Lear Antel, and Loretta Lear Peek. Visitation for Mr. Lear will be Thursday, February 14, 2019 from 6pm-9pm. Funeral will be held Friday, February 15, 2019 at 2pm, with Bro. Buford Parkerson officiating. Both will be held at the Marvin E. Owens Home for Funerals. Burial will follow in the Oak Hill Cemetery.